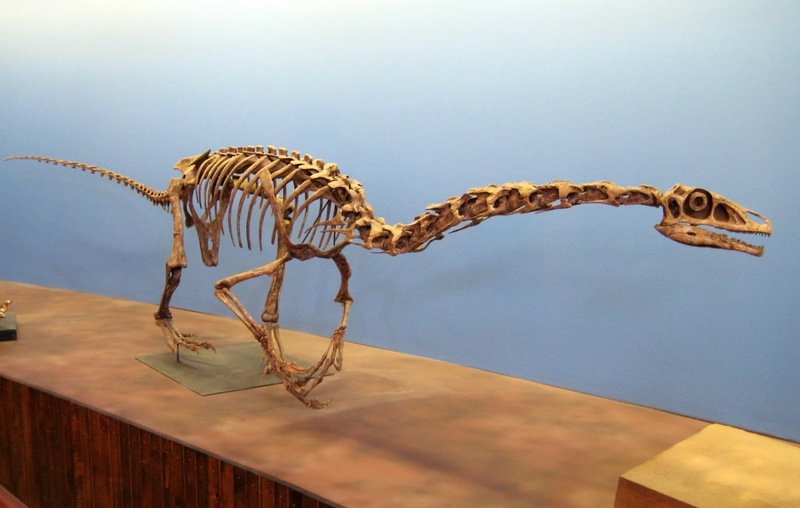 Packed into a two-acre excavation site near Green River, Utah are hundreds, maybe thousands, of fossilized remains of a new dinosaur species discovered back in 2001: Falcarius utahensis. This species lived about 125 million years ago during the early Cretaceous Period. Falcarius walked on two legs. Adults measured about four meters from head to tail and were well over a meter tall. They had sharp, curved, claws measuring up to 15 cm in length and were probably covered with hairy feathers. It’s thought that these creatures are one of the ancestors to modern-day birds. 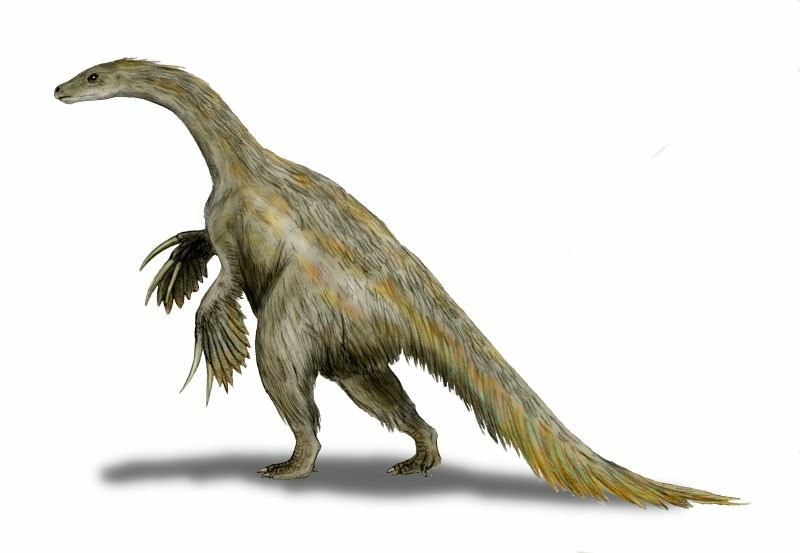 Artistic rendering of a Therizinosaur, courtesy of Nobu Tamura. Evidence that it ate plants includes a large pelvis bone to support a larger intestinal tract that’s needed for digesting plants. Falcarius also had leaf-shaped teeth which were ideal for eating plant material. Yet—like Velociraptor—they had sharp, curved claws for hunting, so it’s thought that they also caught and ate small animals. The name Falcarius comes from Latin, and means sickle maker which aptly describes its unusual clawed limbs. The name may not be as catchy as T-Rex or Velociraptor but this dinosaur is definitely interesting. 1) True or false: Falcarius is thought to be an herbivore. 2) Falcarius is believed to have been covered with __________. 3) True or false: Falcarius had teeth that were well-suited for eating plants. 4) Falcarius is thought to be a missing link between carnivores and ____________. 5) Falcarius is Latin for _________.